www.drivethedeal.com is offering £1000 off the price of the all-new MINI hatch, along with savings of almost £2000 on the Countryman SUV. All cars are supplied by UK main dealers. Prices include VED and delivery to your door is free. The quoted prices on all Countryman models include a £400 discount which is conditional upon you being the Loyal BMW/MINI customer and if you take a PCP finance with MINI. If this does not apply to you then please add £400 to the prices quoted. 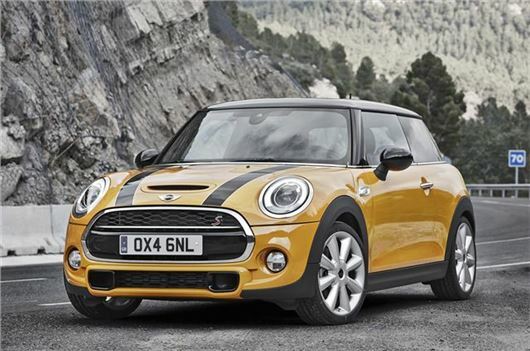 *MINI is offering PCP finance at 4.9% APR Representative (6.9% APR Representative on new MINI Hatch) over a period of 24 to 48 months with no minimum deposit. The dealer that we put you in touch with will arrange the finance if required. Subject to Status. Written quote available on request. Please note there is a 5 Year/50,000 mile servicing plan available for just £299. If you wish to buy this plan then you will need to add £299 to the prices quoted. Terms and conditions apply.